Alejandra and I have been quite busy over here at BitCollectors over the last couple of months. We have re-done our website at www.bitcollectors.com, updated our blogs at blog.bitcollectors.com, made several software updates, and even released a couple of new projects. See below for further details on the updates. I’ve had the code written for a while for a setup project and QFG2 support in my QFG Character Editor but I wanted to finish up support for changing the amount of money the character has before publishing it. Since I haven’t had a chance to make those changes, I figured I should go ahead and just build what I have and share it online. 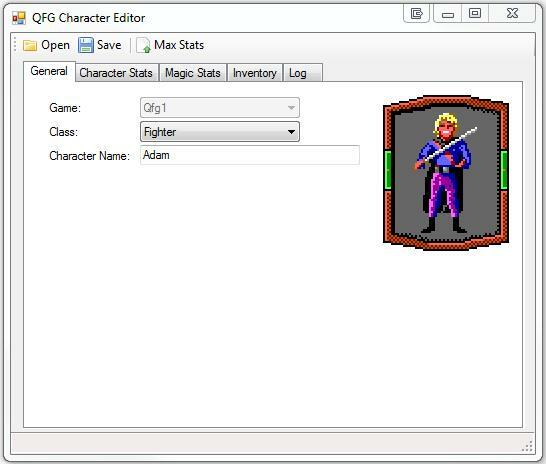 So here it is, QFG Character Editor v1.5 with support for importing/exporting characters from Quest for Glory 1 and Quest for Glory 2. I’ve finished the functionality for my Quest for Glory character editor web application. I have the source code checked in to my github page, and the app is hosted over at: qfg.bitcollectors.com. This currently only supports QFG1 (aka Hero’s Quest) characters, but I still plan on getting QFG2 characters implemented someday – hopefully soon. Please let me know if you find any issues. Please note, I renamed the GitHub repository to BitCollectors.QfgCharacterEditor and I will be renaming the solution and projects soon. An important part of my job is to be able to interface our product with third party UI’s. Typically, I know virtually nothing about the UI before I begin the project, only that I will need to enter data into different fields. I’ve created a small project which parses .SLN and .CSPROJ files and allows you to compare and merge project settings across multiple configurations. This has been a very handy tool for me. We have a Solution here at work that has about 25 projects, and often times we’ll have an ANY CPU platform configured to build for X86 in one project, but configured to build for ANY CPU in another configuration. This lets me quickly identify where bad misaligned configurations exist in my project files. I haven’t yet published a setup project, but I have checked in the binaries under the bindebug folder. Please feel free to post any bugs or feature requests. I’ve uploaded the C# source code for my Quest for Glory Character Editor. Currently it only supports editing or creating characters from QFG1, but I’m very close to finishing up support for QFG2. It took some work to reverse engineer some of the checksums that are generated, but the support for QFG1 is pretty solid and I’m very happy with the progress I’m making with QFG2 (QFG2 code isn’t yet checked in). Please let me know if you find any issues or wish to contribute to the code. In particular, I could definitely use some help with support for QFG3 and 4. I will package up a setup file for it eventually, but for now the code and compiled exe are available at: https://github.com/aplocher/BitCollectors.QfgCharacterEditor. If you plan on downloading the exe, I believe I’m targeting .NET4 (Client Profile should work). I will also be providing an ASP.NET version eventually, so you can make edits or create a new character without ever needing to install anything. Update (02-14-2013): Updated GitHub URL to new repository name. Update (05-17-2013): QFG character editor web app is online at: qfg.bitcollectors.com. See blog post about it: here. Also, watch for an update very soon with QFG2 support. The code is checked in to GitHub and works but I’m trying to wrap up a couple other features, such as the ability to edit your gold inventory. I will update the web app and have a setup file available when it’s ready. I will keep you posted! Update (06.14.2013): QFG2 character support has been added and the setup file is available now. Please see my latest post at: HERE.